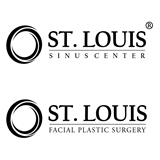 STL Sinus Center / STL Facial Plastic Surgery (St. Louis) - Book Appointment Online! The St. Louis Sinus Center was developed to give patients suffering from sinus and allergy problems access to the best possible sinus care in the Midwest Region. Dr. Gould’s practice is recognized as a National Center for Excellence for in-office balloon sinus dilation, and he is proud to offer a new treatment, XprESS Balloon Sinus Dilation at the St. Louis Sinus Center. Very encouraged that my sinus issues can be reduced significantly. Yea! Dr. Steitz listened well and had a nice manner. Great communication - friendly and informative.